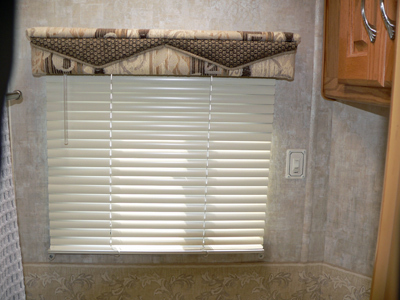 The RV Doctor: Paint and Paper an RV Interior? Paint and Paper an RV Interior? Patty, properly prepped, it is quite plausible to paint, tile, refinish or wallpaper inside an RV. It’s done all the time. Remodeling and renovating is actually a booming aftermarket business. Basically anything you do in a conventional house can be done in an RV, but preparation is the key. I’ve never heard of the act of painting or papering causing mold to appear. Moisture, dirt and microbes, yes, but not paint or paper. So brighten away! Just be sure to follow the instructions explicitly and know for sure what kind of surface you are covering.